Saturday 20th December, 6 to 8:00 pm in Trafalgar Square. Saturday 20th December, 5 to 6:00 pm in Piccadilly Gardens. Light a candle, post a photo, tag it #SyriasForgottenCities. This Christmas Syria’s people need your support and solidarity. This will be the fourth Christmas since the mass uprising against the regime of Bashar Al-Assad began. Over the past three years brutal repression and mass killings by this regime have driven almost half the population of the country from their homes: 2.5 million have been turned into refugees while another 6.5 million are internally displaced, their houses shattered in a systematic campaign of bombing and shelling which has reduced whole cities to rubble. Still Syrians resist both the regime and the terrifying gangsters of ISIS who have grown in the shadow of the regime’s violence. These people, the inhabitants of Syria’s forgotten towns and cities, need your solidarity. 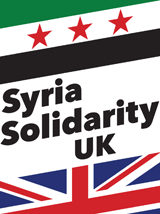 This vigil is an opportunity for people across Britain to demonstrate their support for the Syrian people, and to pay their respect to those who have lost their lives in this great struggle for dignity and freedom. 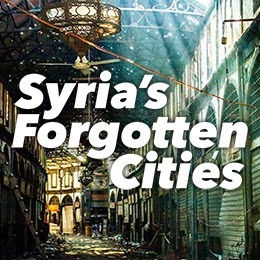 We invite solidarity, peace, and human rights activists around the country to join us in a “Syria’s Forgotten Cities” campaign: to organise vigils and rallies, to inform people of the realities of Syrians’ ongoing struggles, and to encourage support for their cause.